The way you sound and look, always counts. It directly affects your brand image and reputation. And you don't want careless errors distracting your customers. Give me your draft documents and I'll turn them into polished, persuasive copy that fascinates your customers. They'll be word-smithed, corrected and fine tuned for impact and results. improves the formatting, style, and accuracy of text. It may (or may not) involve changing the substance of the copy or text. It's done before both designing and proofreading. Copy editing should make it say what it means and mean what it says - clear, correct, concise, complete and consistent. 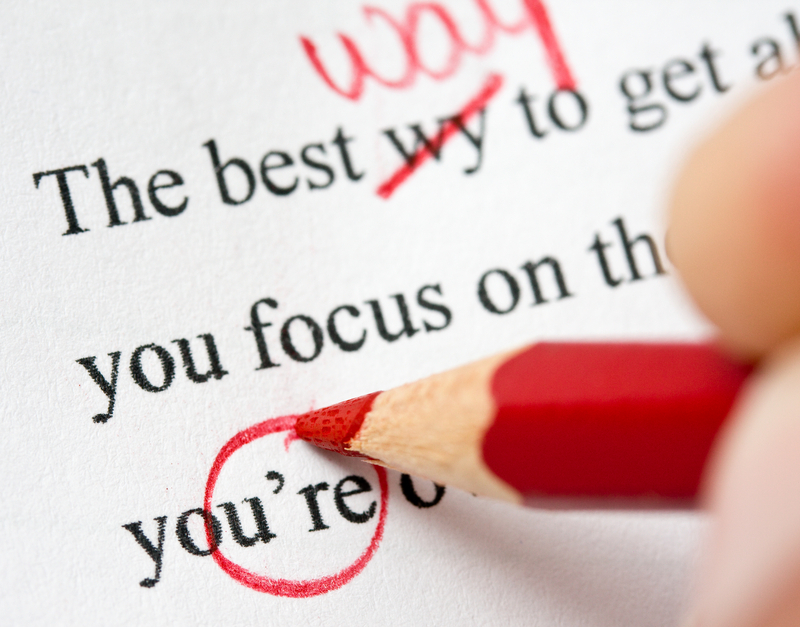 Always try to keep the editing and proofreading processes separate. is the final stage, focusing on surface errors in spelling, punctuation and grammar. It's the reading of a proof or on-screen to find and correct production errors – they may be either text or art/design. Proofreading should be done after all the other stages of writing and editing are complete. If you have more questions, email me. Or learn more about working together, here.